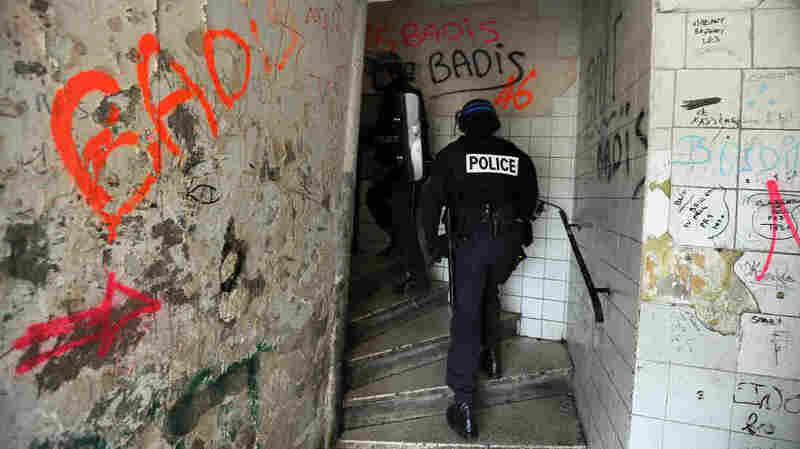 Poverty, Segregation Fuel Marseille Crime Wave Drug- and gang-related shootouts have killed 20 people so far this year in France's second largest city. The crime wave has prompted one Marseille politician to call for the army to be sent in. The city's isolated housing projects breed despair and are home to a parallel economy based on drugs. Drug and gang violence in Marseille, France's second largest city, has gotten so out of control that one local politician has called for the army to be sent in to restore order. The proposal shocked the French and President Francois Hollande. Now, the French government is making the city a top priority. Reporter Karim Baila spent two months in Marseille filming a documentary for French television on the city's troubles. He says he wanted to understand what was at the root of the violence stalking his native city. Since the beginning of the year, drug- and gang-related shootouts have killed 20 people, many of them cut down by automatic rifles. Marseille is also France's purse- and chain-snatching capital. Some 840 gold chains have been ripped from their wearers' necks since June. Baila focused on the city's huge juvenile delinquency problem. He believes the problem starts in the isolated housing projects on the city's north side. "There is poverty, discrimination and segregation where we've put people in these high-rise ghettos," Baila says. "And they are so overcome by unemployment and misery that a parallel economy has taken over. Drugs and gangs now rule, and they've become no-go zones for the police." Drug running from one of the high-rise complexes can bring in anywhere from $40,000 to $100,000 a day, Baila says. The gangs move marijuana, cocaine, heroine and ecstasy. The dealers operate with impunity; their idol is Al Pacino's character in the film Scarface. And by age 30, they're often in prison or dead. 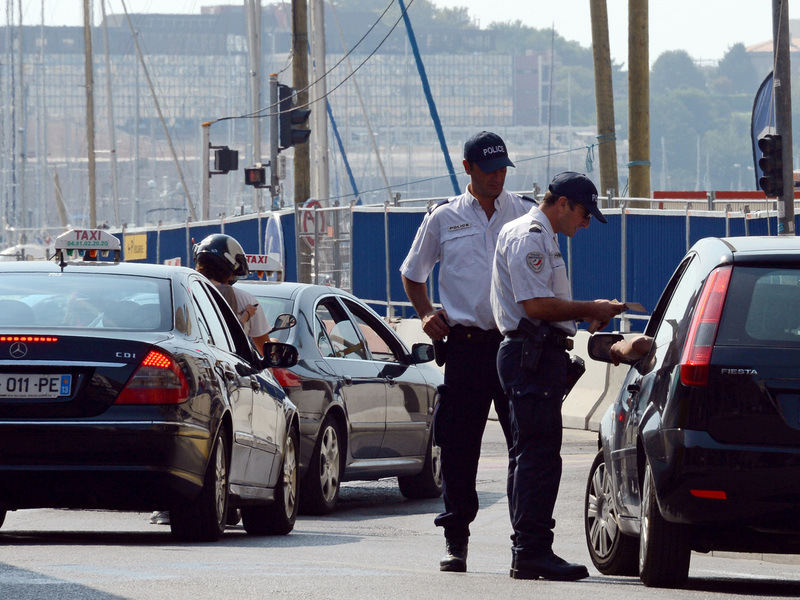 Police officers in Marseille carry out checks on passing cars Sept. 8, two days after the French government announced an increased police presence and the creation of a security zone in the city. Saida Hidri runs a support group for mothers living in the high-rises. She lives in one herself, in an apartment on the 15th floor, which she reaches via a ride on a dirty, graffiti-tagged elevator. Hidri says unemployment in her neighborhood is nearly 50 percent. "The kids drop out of school to work but there are no jobs. So they fall into the drug gangs where they can earn good money," she says. "But later, if they want to leave they'll be killed because they know the network. They're prisoners, and so are their families. That's why we live in fear." But there's a whole other side of Marseille, one that is brimming with culture and beauty. Marseille is France's oldest city, founded some 2,500 years ago by Phoenician sailors. Along the old port people sit in cafes. The sun glitters off the sailboat masts in the harbor. Marseille was chosen as the European capital of culture for 2013 and is undergoing beautification projects for the millions of expected tourists. But for Sen. Samia Ghali, who was born and raised in the Marseilles projects, that's just the problem. There are two Marseilles, she says, and the line that divides them has become a chasm. "The situation is worse and worse and is becoming extremely violent," Ghali says. "That's why I called for the army to come in. I wanted people to wake up to what's been happening here." Gahli's cry was heard loud and clear, and Marseille is now on the front burner for the French government and the media. During a ride though Marseille's north end, police officer Kamel Bessaa tells a horror story about each housing project. He says the government's promise to bring in more cops is a good start because police in the city are underfunded and overwhelmed. "What we need is zero tolerance," Bessaa says. "We need to follow the broken windowpane policy. If you don't fix it immediately they'll soon break the whole window. And then destroy the house. That's what's going on here." Bessaa has a second job. He mentors teenagers as part of an association that operates out of a garage that has been transformed into a rec room with a TV, couches and computers. The kids, who gather here after school and on weekends, clearly bond with Bessaa and the other older volunteers. Said Fassoil, who was raised by a single mother from the Comoros islands, says this center probably saved him. He says he had no one at home to help him with his homework. But, he recalls, he could come to the center to get help. Volunteers took the kids on outings and had activities — instead of hanging around and getting in trouble. An army recruiter came into the center last year, and Fassoil says he's proud to be starting a career in the military.